Starting a kitchen remodel is exciting. You think about what you want your cabinets to look like, whether you want a kitchen island, and what material you want your countertop to be made from. At some point though you must also consider your kitchen plumbing. If you are doing a kitchen remodel for an older home you may have rusted pipes or plumbing that is not up to code. You also might want to reroute the plumbing because you want to move your dishwasher or kitchen sink. Benjamin Plumbing can handle all of these when providing you with our kitchen remodeling services. We eliminate much of the hassle by working directly with you or your contractor. 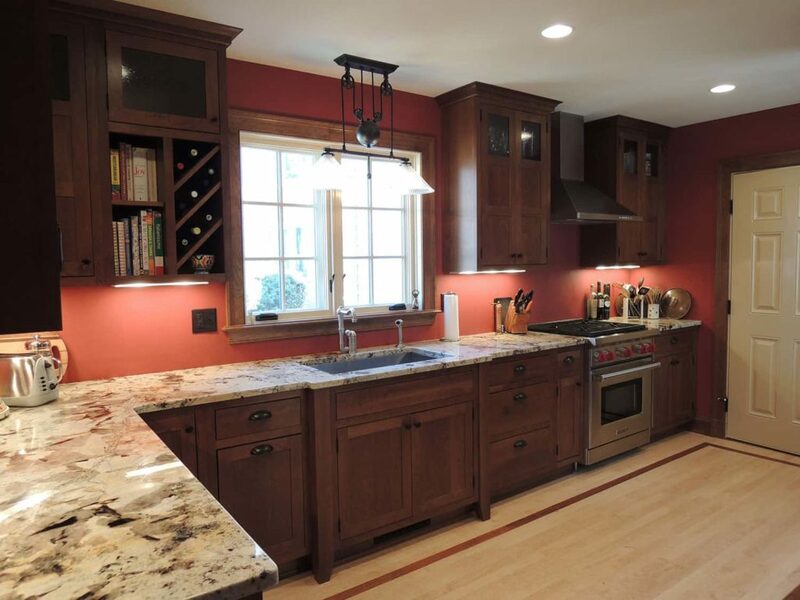 We also get the job done right the first time and have worked with award winning professionals, including kitchen remodeling contractors. You spend a lot of time in your kitchen cleaning, cooking, and eating. When doing a kitchen remodel you want to make sure you have the appliances you want where you want them. Having your sink in a good place makes cooking and cleaning a lot easier. It also helps when you get the appliances you want like a pull-down faucet and farmhouse sink. At Benjamin Plumbing we are experts when it comes to kitchen plumbing and giving you the dream kitchen, you’ve always wanted.